The president demanded Russia stop killing Ukrainians. 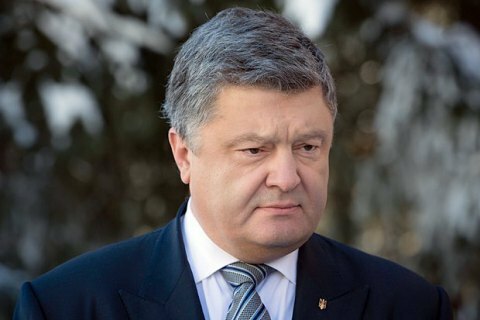 President Petro Poroshenko has refused to talk to Russian journalists in Helsinki. During the tour of the Finnish parliament, he was approached by Russian TV journalists who wanted to put a few questions, Interfax-Ukraine said. The president told them: "Stop killing Ukrainians and vacate the territory!" He added that seven Ukrainians were killed in Donbas in January alone. When a journalist attempted to ask him something again, he said he would not give any interview to Russian media for as long as Russia is occupying Ukrainian territories. While in Helsinki, he commemorated the Finns who fought for the country's independence, including against the Soviet Union.